My portrait photography shoots for families, couples and individuals are affordable, with low sitting fees and a wide range of fabulous print and display options at realistic prices. I cover Bristol, Bath and surrounds. What happens at a home family portrait shoot? I can visit your home, set up a fantasic ‘mini-studio’ using the same or better lighting as used in professional photographic studios and the well-known chains. For full length portraits we will need a space at least around 12′ x 13′, not including any furniture. Within two weeks we upload the best unedited images to a website where you can choose your favourites for order. Special artistic treatments can be applied upon request, from high contrast black and white to exciting contemporary treatments. Images chosen will receive basic retouching for minor blemishes and to make the background clean. Although I love making you feel special with wonderful studio lighting, some of the best light of all is natural. I can take your photographs at a local location from your back garden to the countryside or edgier urban locations. Perhaps you have a location in mind or we can suggest some in the Bristol area? I have completed fun shoots as places like the beach at Clevedon and Weston Super Mare, parks, industrial areas and clients’ back gardens. Natural light portraits on location offer something very different to the studio experience. 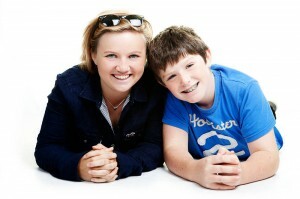 Whichever option you choose, the shoot costs just £49.99 and I will take as many photographs as needed are taken. They generally last 1-2 hours. Included in the price is one FREE 10″x8″ or 12”X8”inch photograph. We will print any of the photographs taken during the shoot in the sizes below. Prints are made using professional print labs or high-end giclee printers on archival papers designed to last for 100 years and more. Canvases, MDF blocks, very large print sizes and and acryllics are also available. We can advise how to display your photographs in your home and help you to choose framing options that complement your style. Framed options and canvas prints are quoted separately as they can vary in size and complexity. High quality suppliers, which serve the local arts and exhibition scene, are used to ensure beautiful, high quality results.